and Zoelle came with me. 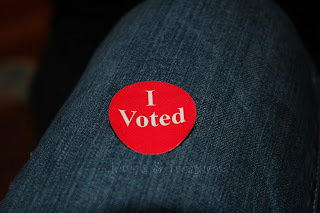 It brought back fond memories from when I was a child and went to go vote with my mom. 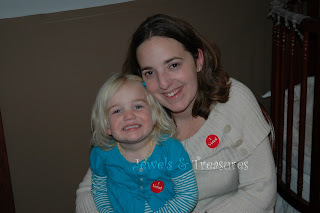 It also gave me an opportunity to teach her a little about what voting is and why I vote. 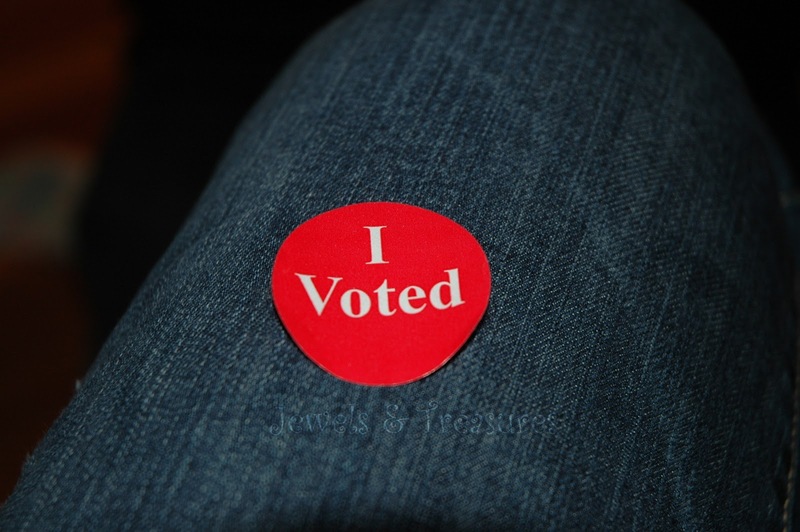 Did you get out to vote? If you have children, do you take them with you to vote? Yeppers, took all 3 of ours. I believe they need to see the process. Kayla-I agree! My mom took me, so I feel that I want to take my girls too. Salena-That is also part of the reason I take Zoelle because I want her to understand that she has the option to vote if she so chooses too. We have taken our girls to the polls in the past, but this year we sent in early ballots for the primary and general elections. So convenient! Stephanie-I've never done that before, but I bet it would be nice. I barely made it in time to vote, so I may just have to do that if life gets hectic one year.